It is hard to determine what will become something that will stand the test of time. Whether you are talking about a picture of a speech, no one knows that when something is happening it will define a nation. No one knows if something like a photograph will even turn out. 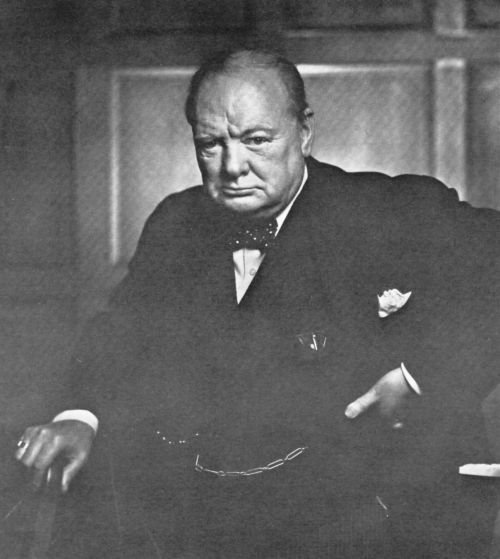 The Portrait of Winston Churchill taken in 1941 by Yousuf Karsh in Canada is one of those iconic photographs that was not intended to be anything more than capturing a moment in time, but turned out as a photograph that spoke for a generation, a place in time, and a country. In 1941Winston Churchill and the United Kingdom were the last of the European countries still defending themselves against Nazi Germany. As a way to try and gain support for this battle Winston Churchill traveled to all of the British interests around the world giving speeches. During this tour Winston Churchill gave a speech to the Canadian House of Commons in Ottawa. Knowing that this may be a great opportunity to get a history making photo Prime Minister King of Canada decided that after the speech would be a great time to get a picture of Churchill, while his emotions were still high. Prime Minister King selected Yousuf Karsh to take what is now the most reproduced portrait in the world. Without informing Winston Churchill of his intentions, Prime Minister King brought him to Yousuf only minutes after a very emotional speech. Upon arrival Churchill was not pleased, he did not want his picture taken and protested, but to no avail as Mr. Churchill was taken to where the lights had already been set up. He scolded at the camera as Yousuf Karsh prepared to take the picture. As part of his protest Churchill had lit one of his famous cigars and angrily puffed away. Finally Karsh was ready to snap the photograph, when he paused and removed the cigar from Churchill’s mouth. This only increased Churchill’s displeasure, therefore his scowl intensified and the anger on his face was easy to see. Then Karsh snapped the now famous picture and Winston Churchill relaxed and actually allowed a second snap of the camera. Once the picture was developed Yousuf Karsh knew he had something special, after looking for a way to get the picture published, he finally found Life magazine that paid one hundred dollars for the rights to the photograph. The Portrait of Winston Churchill is the most reproduced portrait ever, and it was created by catching one of the greatest world leaders of all time at a moment of anger. This may be one of the most iconic pictures ever taken; it is hard to believe that it almost never happened.